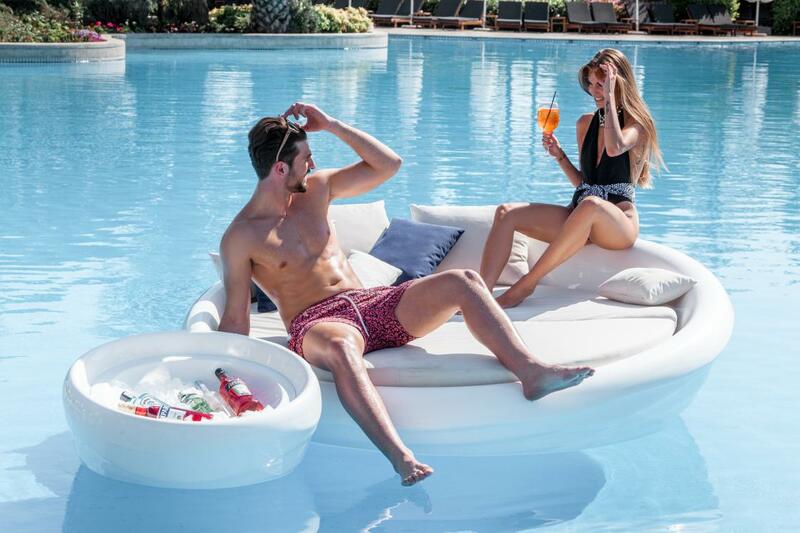 INOMO's Floating Sunbeds are out! 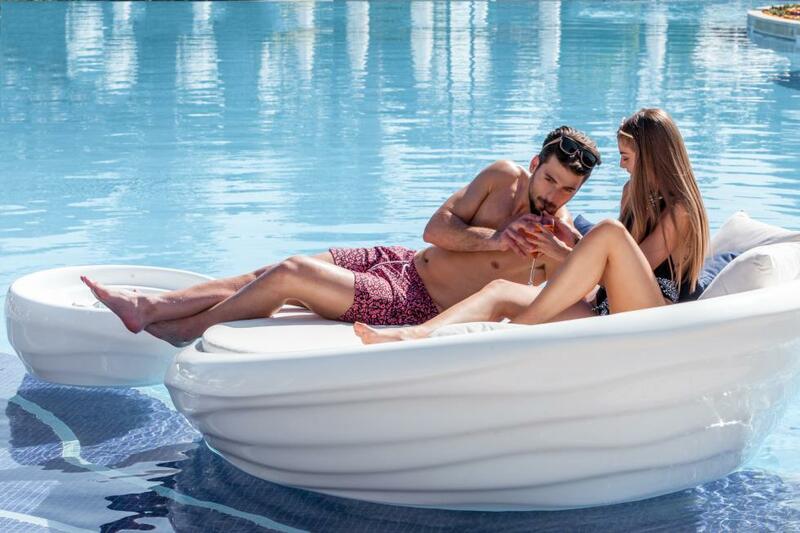 The daybeds can be installed at home, on the sand or afloat,into the sea securely anchored in shallow water or into the pool. Inspired by the movement of the waves in the Mediterrenanen sea,Silky White reflects the calmness and casualness of the universal appeal of the sea.Suitable for outside use, even in the most extreme weather conditions, brings the comfort and the quality of interior furniture to outdoor use without losing it’s original qualities. 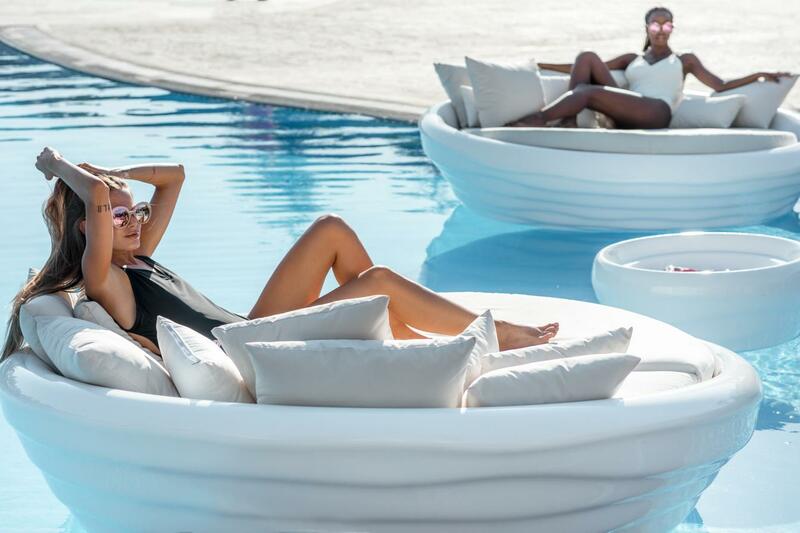 A collection of floating sofas/stools and accessories that can create floating compositions while staying steadily at sea and in the pool. The collection is guaranteed by EUIPO. Availabe in 3 different colours,white,grey & black. Custom finishes applicable. 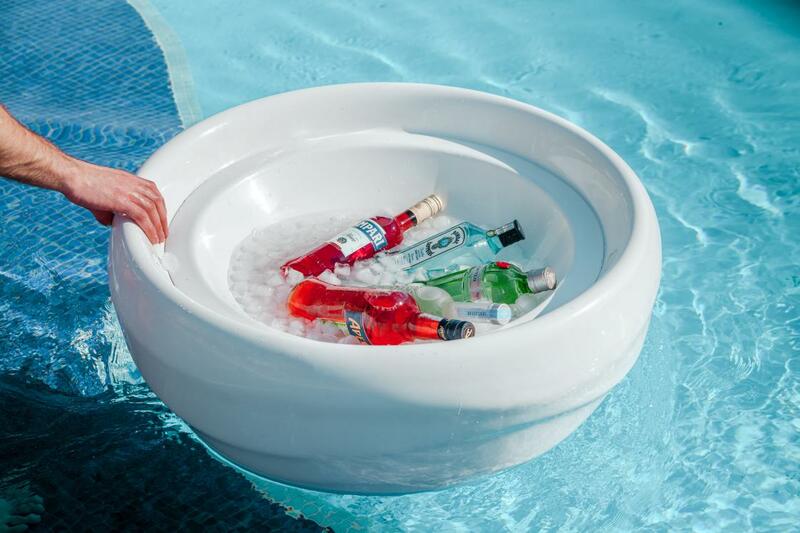 The daybeds include Basic Waterproof Cushions easy to clean for indoor & outdoor use. Sunbrella® fabrics can be applied with extra charge. All fabrics are engineered to combine the highest level of design and performance. 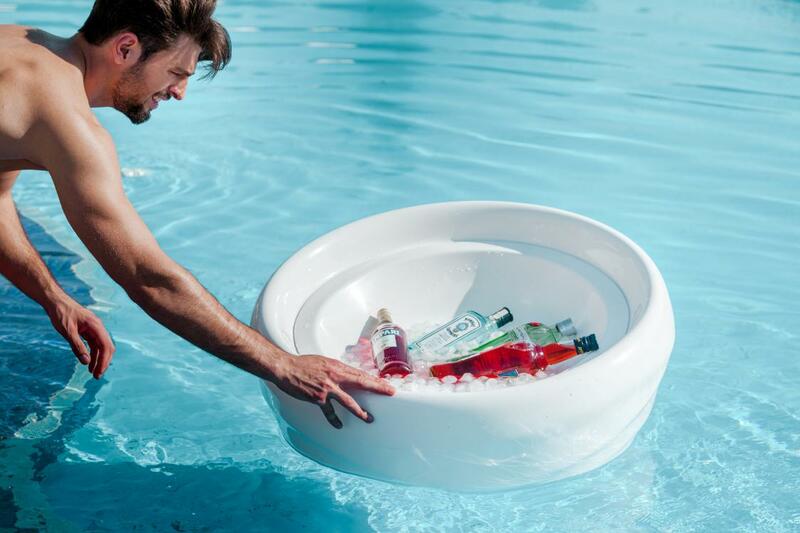 INOMO focuses on innovation, unique ideas and intelligent materials. We provide, together with a team of collaborating architects, interior planners and product designers, solutions for your private or corporate space from the initial conception to the final, tailor-made production. More than a creative studio and better than a production company, INOMO's heart and soul is our holistic approach to realizing furniture ideas. With 40 years of experience and unique product care services, INOMO provides intelligent furniture solutions on every scale ensuring innovation, technical know-how and uncompromising durability.